Vigorously strong growing and bushy. Leaves are erratically variegated with yellow. 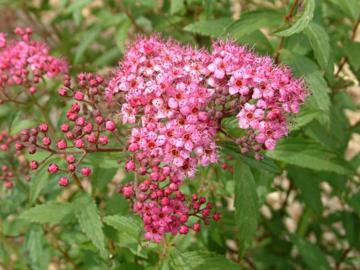 Large flat heads of carmine pink flowers, lasting over a long period.